1 edition of Syllabus of a course of twelve lectures on the enlightened d... found in the catalog. Add another edition? 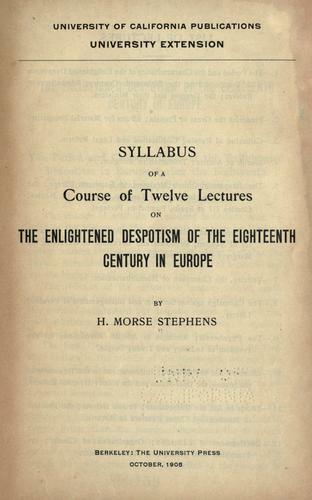 Are you sure you want to remove Syllabus of a course of twelve lectures on the enlightened despotism of the eighteenth century in Europe from your list? 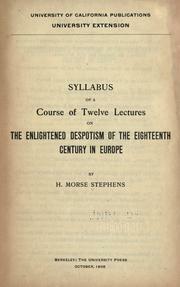 Published 1905 by The University Press in Berkeley .